Why You Should Buy a P Mount Cartridge? People who own a tonearm or a turntable or a phonograph often get confused while choosing the cartridge of the device. It’s actually not that hard. In fact, choosing a P Mount Cartridge is always a better decision for you. Why? Here is our answer. Before you get to the part “why you should buy a P Mount Cartridge”, you have to know, what other cartridges are available besides the P Mount Cartridge. Depending on how you mount the cartridge to the headshell, there are basically two types of cartridges available, the Standard Mount Cartridge and the P Mount Cartridge. And for the both type of cartridge, its the common is Shure P Mount Cartridge. So when you will go with one of them, you should go with this one. The Standard Mount Cartridge has two screws that are half an inch apart from each other. They attach the cartridge to the headshell. As the screws are half an inch apart, they are also known as the half inch mount. Besides the screws, there are 4 different colored wires that can be connected to different male plugs. But, the P Mount Cartridge aka the T4P cartridge is a bit different from the Standard Mount. It has only one screw that attaches the cartridge to the headshell. Also, there is no need for any wires to connect to the male plug. The Cartridge itself plugs in to the headshell. 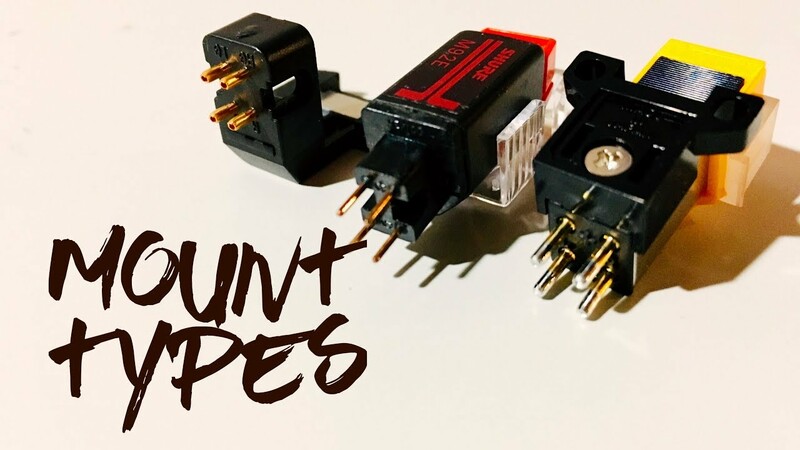 Now that you are familiar with the types of cartridges based on the mount, here are our thoughts on why you should buy a P Mount Cartridge. And you can easily replace p mount cartridge without any hassle. Installing or setting up a P Mount Cartridge is always easier than a standard mount cartridge. Let us explain how. To set up a standard mount cartridge, you need to screw the cartridge with the headshell. Here you have to screw both of the screws. But, before doing that, you have to identify all the colored wires and match them with the male plugs. You have to connect each colored wire with the corresponding male plug otherwise the cartridge won’t work. After connecting the wires, you have to plug it into the headshell and then screw it with both the screws. For, a P Mount Cartridge there are fewer works to do. Simply plug it into the headshell and screw it with just one side screw. There are no complications of colored wires or so. A P Mount Cartridge is always more compatible with any kind of phonographs or tonearms or turntables. This compatibility depends on the headshells of your device. Headshells are of three types, universal mount, P mount and proprietary mount. The universal mount supports both standard mount and P mount cartridges. The P mount headshell only supports the P mount cartridges, if the name didn’t give you any hint. But the proprietary mount headshell is a special type so we are leaving it out of our discussion. As you can see, the P Mount cartridge is compatible with both universal and P mount headshell. But the standard mount cartridge is not. So, I think it’s clear to you why the P Mount is more compatible. Conclusively, the P Mount Cartridges are easier to set up and also they are more compatible with phonographs compared to the standard mount cartridges. This is why you should buy a P Mount Cartridge.